We've got a ton of new beers this week from all over the place including Italy, Denmark and a far off place called Vernal, Utah. Xbeeriment #44 Smoked Stout: Me no try yet. Aroma of smoky toasted malt, mild chocolate and brown sugar. Flavor is dark toasted malt, charred coffee, milk chocolate, finishing with smoky dark malt with a hint of wood ash, more post-fire than smoky. Nice medium, lightly creamy body. A somewhat dry stout, leaning towards a foreign / export stout profile. The smoke is rather subdued, leaving a faint memory of the fire rather than smoke in one's eye and is mostly present in the finish.. Pleasant and full flavored, but I'd like just a little stronger malt support for the smoke in the finish. Nøgne Ø /Terapin Imperial Rye Porter: Me no try yet. Pitch black with a thick, creamy, tan 2 finger head. Nose has coffee, roasted malts, dark fruits, booze, and tropical hops. You may have noticed that Epic Brewing is one of the few breweries in the state that doesn't offer growlers for their customers. The primary reason was that Epic only made "high point" beers and since growlers in Utah are primarily poured from taps - and Epic has no taps - growlers were'nt an option. Apparently that is no longer the case. After checking with the DABC, it was ruled that Epic can fill a standard growler with any of their beers as long as it prepackaged and meets packaging and size requirements. So starting Thursday August 6th, Epic Brewing in Salt Lake City will begin selling prepackaged growlers. Epic will rotate through its selection of over 40 beers, offering a different beer each week. 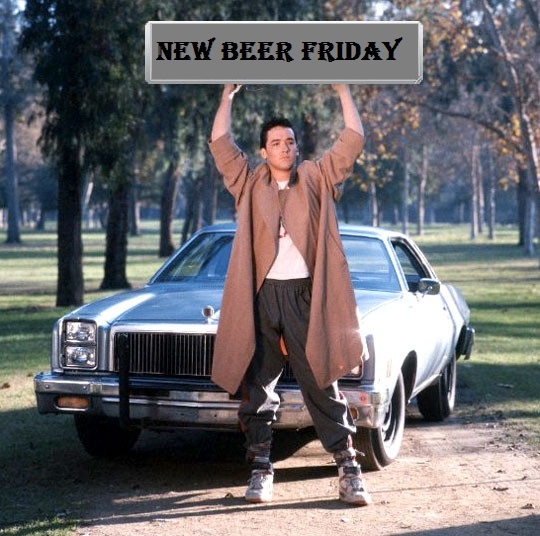 Growlers will go on sale every Thursday morning until sold out. The cost will be $10, $16, or $20 depending upon which beer is packaged. There is an additional $6 growler deposit which will be refunded upon the return of a clean Epic growler. No other generic or brewery's containers will be accepted. The first release will be Hopulent IPA, $16 plus deposit. 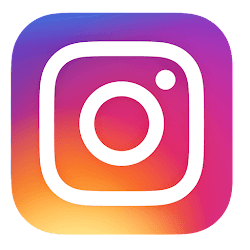 Weekly brand announcements will be made on Epic Brewing's social media accounts. Twitter: @EpicBrewing Instagram: EpicBrewing Facebook: Epic Brewing Company. 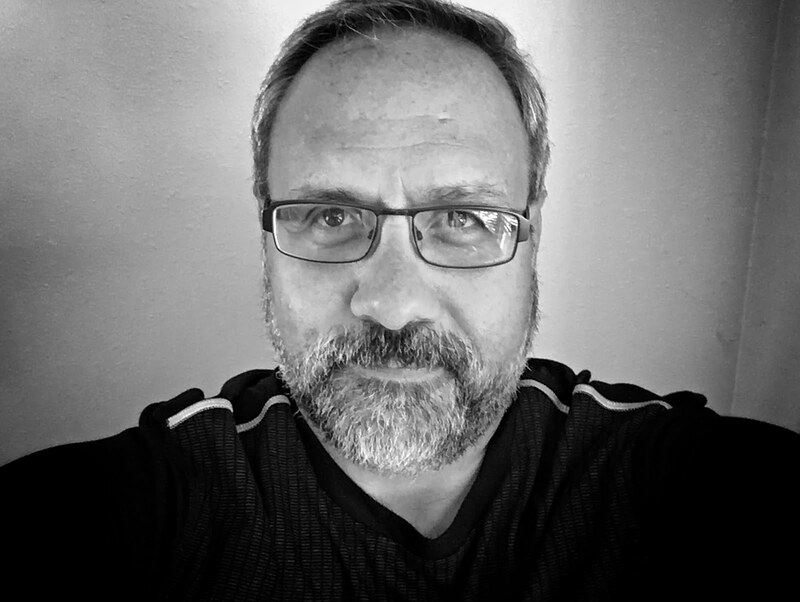 The Utah Beer Blog will also spread the word as soon as we get the info. What are your thoughts on this new packaging option? We got our hands on the list of breweries that will be pouring their suds at this year's Utah Beer Festival. It looks like there will be over 50 different breweries pouring this year - that's defiantly a record for any beerfest in the state thus far. Conservatively that will equate to over 200 different beers that will be offered-up for the tasting. You'll get 5 starter tokens when you enter the festival, that way you can start sampling beers right away, no waiting to buy tokens to get your first sip of beer. All draft beers/draft ciders are available in both 5oz sample pours or 12 oz. pours. High point beers will be poured into your 5oz taster mug. All draft samples are 1 token, high point samples range from 2-4 tokens (90% fall under the 2 token price). 12oz. 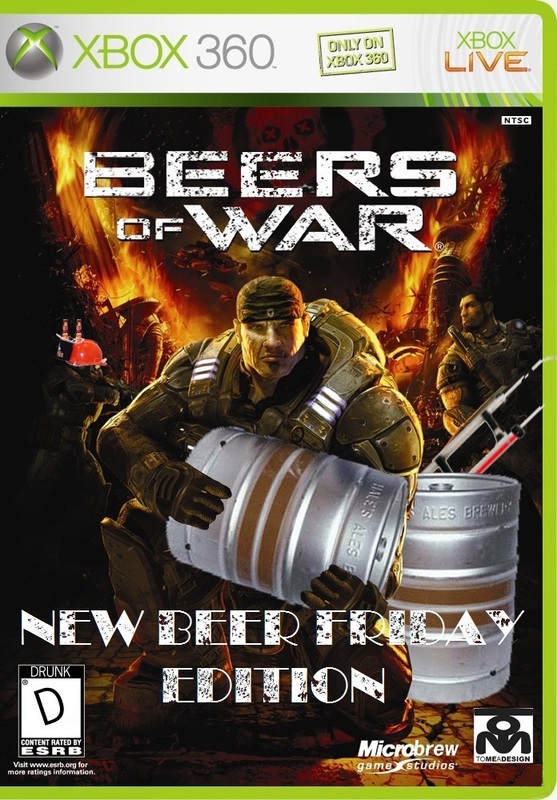 beer prices vary from 3-5 tokens based on the price of the beer. Additional tokens can be purchased at one of the two token booths located at the festival. You can buy 5 for $5. Some of the breweries above are listed by their importer/distributor - so count on a few more breweries to be added to this list. Hope to see you there! Oh yeah, Baby! 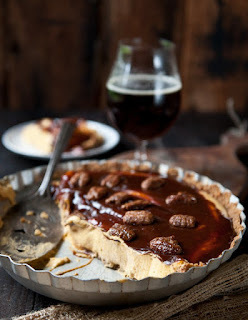 It's New Beer Friday, and if that's not enough for you to celebrate it's also Pie & Beer Day! I know that many of you have your Pie & Beer Day celebrations already planned out. Weather your celebrating at home with friends and family or hitting some of the many planned events around the Wasatch Front, these great new beer option can only make your day better. Not much happening this week, but there will be shload of Pie and Beer Day events to check out tomorrow. Here's what I've been able to confirm is happening along the Wasatch Front. Not seeing your event? Please share! BarrelHouse - 315 24th Street, Ogden's BarrelHouse has teamed up with Pretty Smitty Pies to pair four (from scratch) pies with some of the BarrelHouses finest beers. Starts at 5pm and goes 'til there ain't no more pie. $5 per pie/beer sampler. 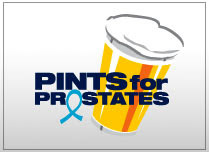 Beer Bar - 161 E. 200 South, Salt Lake City from 3 p.m. until the pie runs out. Pie Pass is $20 at the door, and includes five pieces of pie. Beer additional. Proceeds benefit KRCL Radio. Shooting Star Saloon - 7350 E. 200 South, Huntsville; 801-745-2002. Apple or berry pie à la mode served until pie runs out. Draft beers available. 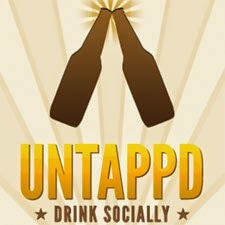 Uinta Brewing - 1722 S. Fremont Drive, Salt Lake City; 801-467-0228. Stop by the newly remodeled Brewhouse pub for pie and draft beers. What is Pie and Beer Day? At it's most basic it's a play on words: "Pie and Beer" sounds like "Pioneer". It's origins are vague and it's time in Utah is unknown, but what we do know that it has been deemed important and it's here to stay. What was once reserved for backyard gatherings and tavern revelry is now out of the shadows of the Pioneers and ready for it's time in the light. 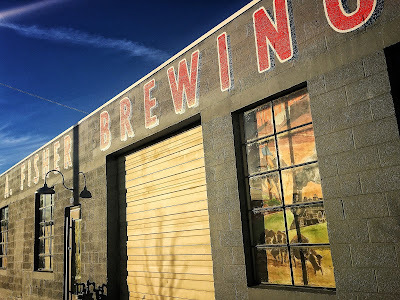 If you're like me and tend to spend any time here at the Utah beer Blog, your connection to Pioneer Day in Utah is mostly that of a spectator - you understand why some may find it important, but for the most part it's just a waste of a free day. Pie and Beer Day was created as a counter culture alternative for people that don't fit into the established green jello and hand cart mold that has been around for generations. Every year, Pie and Beer Day's momentum increases. 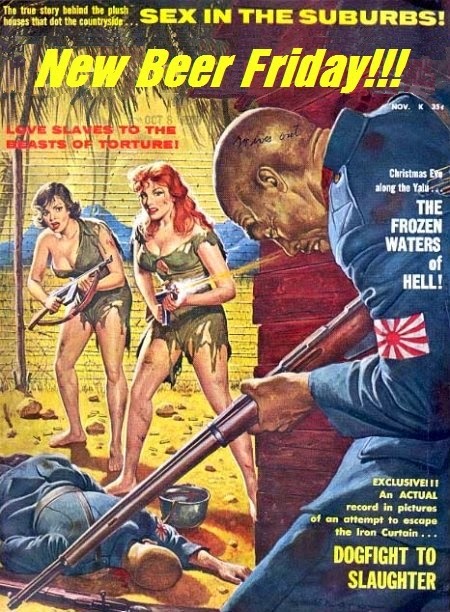 More and more people are discovering what this wonderfully kitschy day has to offer. 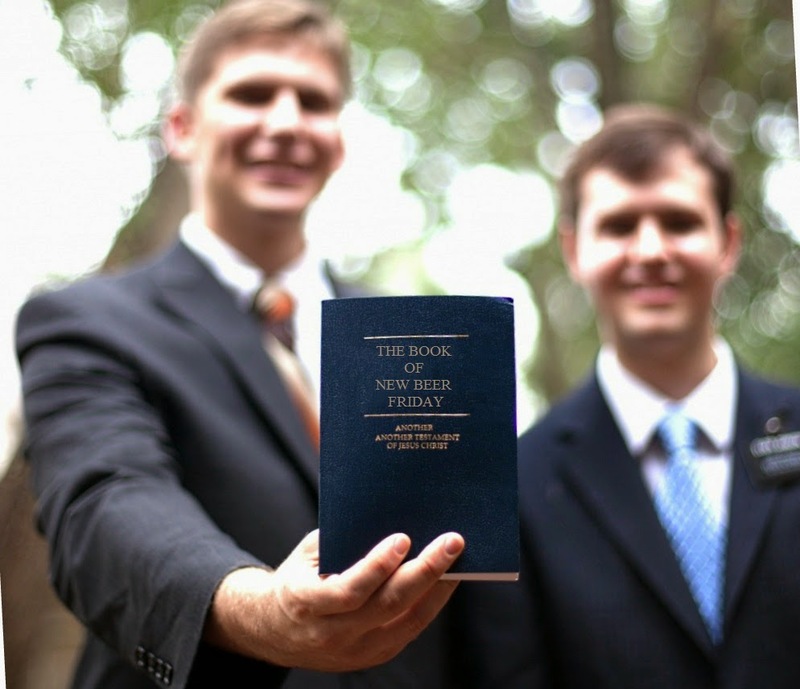 It's not just about drinking beer or filling our, er... "pie holes" with pie but that other non-LDS cultures matter and that our way of celebrating life in Utah is just as legitimate. The Pie and Beer Day manual is short and brief. Gather friends and/or family - bring pie and beer - have and consume. It's been this way for years and it's a formula that has proven to work. 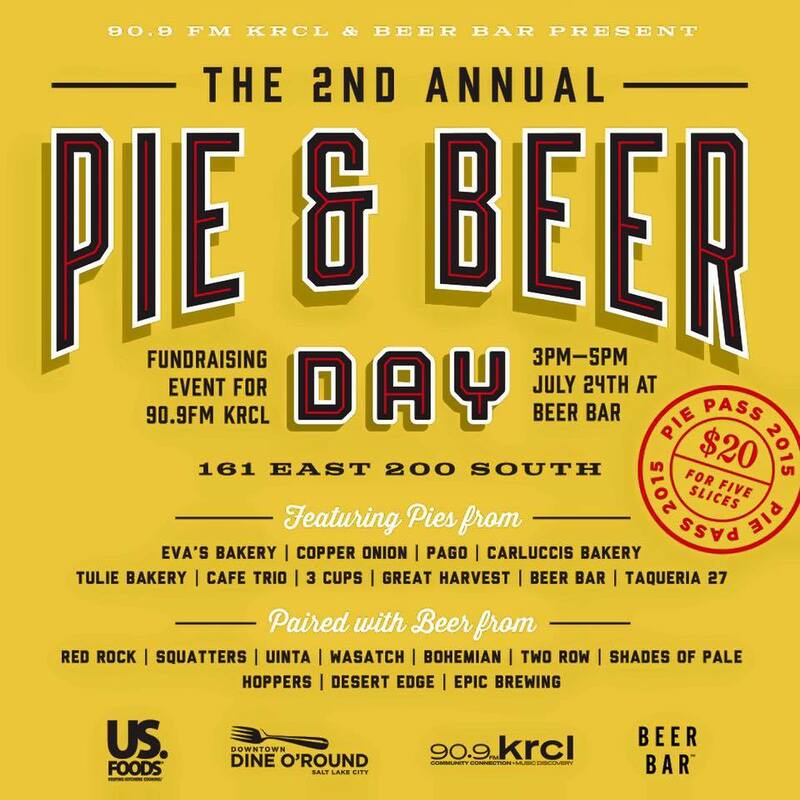 If you're looking to step up your game and get out of the back yard, KRCL and SLC's Beer Bar are putting on their Second Annual Pie and Beer Day Celebration. The event is a fundraiser for the radio station and will feature pies and beers that are specifically paired for maximum enjoyment. The locally made beers will be provided by RedRock - Squatters - Uinta - Wasatch - Bohemian - 2 Row - Shades of Pale - Hoppers - Desert Edge and Epic Brewing. 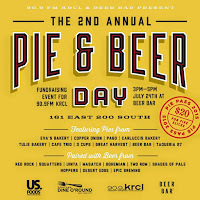 The event is on Friday July 24th (Pie and Beer Day) and will go from 3pm-5pm at The Beer Bar located at 161 e. 200 s. in SLC. This event is limited so you're thinking of showing up at 4pm your likely to be SOL. If you can't make it to Beer Bar, create your own celebration. You can't lose! We're talking pie and beer folks. One of the mountain region's most popular breweries has finally set it's sights on Utah. 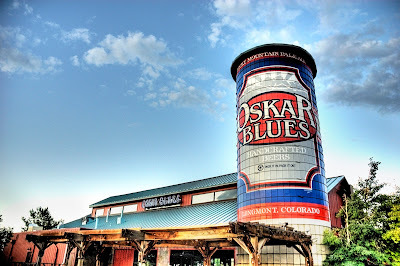 Oskar Blues was founded in 1997 in Lyons, Co and made a huge impact on the craft beer scene with their phenomenally popular Dale's Pale Ale. The brewery was also one of the first craft breweries in America to embrace cans as their primary packaging back in 2002. In March of 2015 Oskar Blues acquired Perrin Brewing Co. out Michigan - this acquisition was backed by a significant investments from Fireman Capital Partners, a Boston-based private equity firm that already has significant investments in two Utah-based craft brewers — Wasatch and Squatters, which make up the Utah Brewers Cooperative. 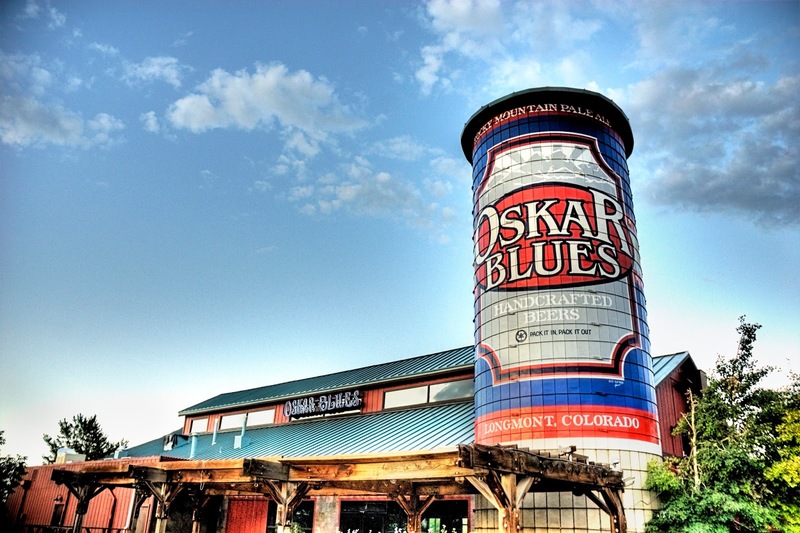 Now that you have an idea of who Oskar Blues is, here's what you really care about. Which of their beers are coming to Utah? Oskar Blues current standard line up of beer consists of seven labels: Dale's Pale Ale, Mama's Little Yella Pils, Pinner, Old Chub, Old Chub Nitro, Deviant Dale's and G'Knight. It's likely most or all of these will be in the market in the next few months. These are quality beers from a great brewery, any thoughts on Oskar Blues hitting the market? Wasatch Lemon Drop Saison: Pours a cloudy golden straw color with a nice pillowy white head. The nose is very light with some spicy yeast phenols. The taste is classic saison with nice clove and coriander spices on top of toasted grains. The Lemon Drop hops add a pleasant lemongrass bitterenss that counters the spiciness from the yeast. Nice light and easy drinking. 4.0% ABV @ Squatters & Wasatch locations - Wing Nuts too. Should be popping up on Wasatch/Squatters seasonal taps around town soon. Hive - Raspberry Jalapeno Stinger Hard Apple Cider: Hive's ninth hard cider is born from their beloved Raspberry Stinger Hard Cider which has been infused with fresh jalapenos. The jalapeno and raspberry front the taste buds with a full apple finish. The heat level on this stinger balances beautifully with the flavors and would be best described as mild. 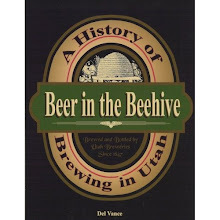 6.9% ABV @ Hive Winery and Brandy Company in Layton, The Bayou and Slackwater Pizzeria in Ogden. Uinta is also starting their own Firkin Friday this week in their newly remodeled Brewhouse Pub. The debut firkin will be HooDoo Kolsch w/ 3 lbs of locally sourced peaches. 4.0% ABV The tapping will be at 5pm. Did I miss something? Please share what you've found locally and where we can find it! Utah may not be a powerhouse in the craft beer scene compared to other states, but we've got some serious staying power with five breweries surpassing the 20 year mark. Tonight (July 9), Roosters Brewing Company joins Wasatch , Squatters, Uinta and RedRock as they celebrate their 20th anniversary, with a pig roast, music and beer. Roosters opened up in Ogden back in 1995, renovating a 119-year-old building that had been a Chinese laundry and a "house of ill repute" during 25th Street's "glory days". 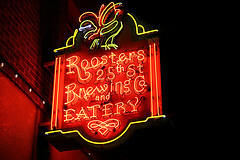 Brewmaster Steve Kirkland was Roosters' first employee, and he's still creating and brewing more than 26 unique beers, including their special anniversary Belgian Style Rye Ale featuring the brewery's original rooster logo. Chanticleer Belgian Rye is an earthy Belgian-style ale, enlivened with rye and possessing essences reminiscent of clove and citrus. The all ages party kicks off tonight at 5pm and goes til dark at Rooster Ogden location - 253, 25th Street. Congrats Roosters on two great decades! For Independence Day we have a ton new local options for you. Enjoy your holiday weekend! Uinta - Gluten Free Saison: Made with millet and buckwheat. The saison yeast takes on the brunt of the work complementing the tartness from the grain bill. Most of the people I takes to (including myself) found this to be a rather enjoyable gluten free beer. A nice saison. 4% ABV @Uinta's Brewhouse Pub. Uinta - Gluten Free IPA: Made with millet and buckwheat. This one is hop forward like an IPA should be. There's a good amount of tangerine-like rind bitterness. There is some of that "gluten free" tartness as well. It is slightly thin, but they say that will be corrected in the next batch. 4% ABV @Uinta's Brewhouse Pub.